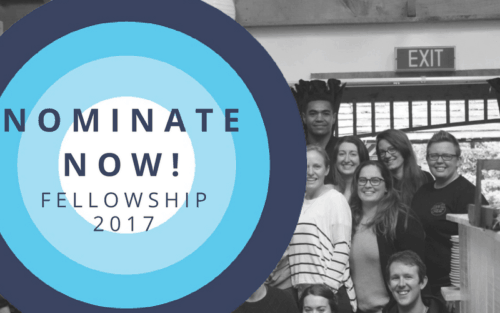 Fellowship applications are open—help us find great humans and be rewarded! As you may have read on social media, applications for our flagship programme the Flourishing Fellowship are currently open. The three-month part-time programme combines professional and personal development for those in the youth workforce (this is the youth workforce in the widest sense—be it in policy, youth work, teaching, nursing, social work, research, public health etc). Not only will participants learn practical skills such as prototyping and co-design, agile and communication, they also deepen their understanding of purpose and place within Aotearoa New Zealand and the work of improving youth wellbeing. In the past we’ve had some participants from the regions—the Far North, Palmerston North, the West Coast. But not enough! With our team mainly based in Wellington and Auckland (and now Paul in Nelson) most of our networks are also based there. So this year we’re trying harder—but we need your help! We’re looking for all sorts of great humans to apply for the Fellowship, but if they’re from the region or a part of the country that might especially benefit, even better. We have a nomination process in place already, as we know that some of the people who can be great for these programmes can also be too humble to put themselves forward. This time, we’re taking it up another notch! If you nominate the most number of people that end up applying for the programme, you’ll get a $50 wellbeing voucher and a Lifehack hoody. What are you waiting for, get nominating here! So have a think about those humans in your life, and the people they serve, whether they could be a great fit. And then nominate them here, or tell them to apply here. Any questions, do give us a shout! If you’d like a flavour for what the programme is all about, check out the video below. Looking forward to seeing rad applications in the mix.